Jake enjoys an afternoon nap on one of his favorite fuzzy blankets. Hope is doing well. Jake, on the other hand, has a problem. Marathon runner that he is, we think Jake has a torn Anterior Cruciate Ligament (ACL). Well, the human equivalent anyway. On a dog, the ACL is called a Cranial Cruciate Ligament (CrCL). Jake cannot put any weight on his left rear leg, which makes him annoyed when he wants to lift the right leg to pee on something. Jake is on an anti-inflammatory and a joint supplement, but we are getting an appointment with a specialty veterinarian for a consultation. Thankfully, that vet will be at the same medical complex as Hope’s oncology vet, so we won’t have to navigate another medical center. Hope is scheduled for another round of chemotherapy tomorrow, provided her white count is acceptable. She is doing fine, except for her thinning beard and mustache. Her thinning facial hair gives her a sad look. As for Jake, he is carried up and down the few steps to go outside to potty and is not allowed to train for next year’s Boston Marathon. 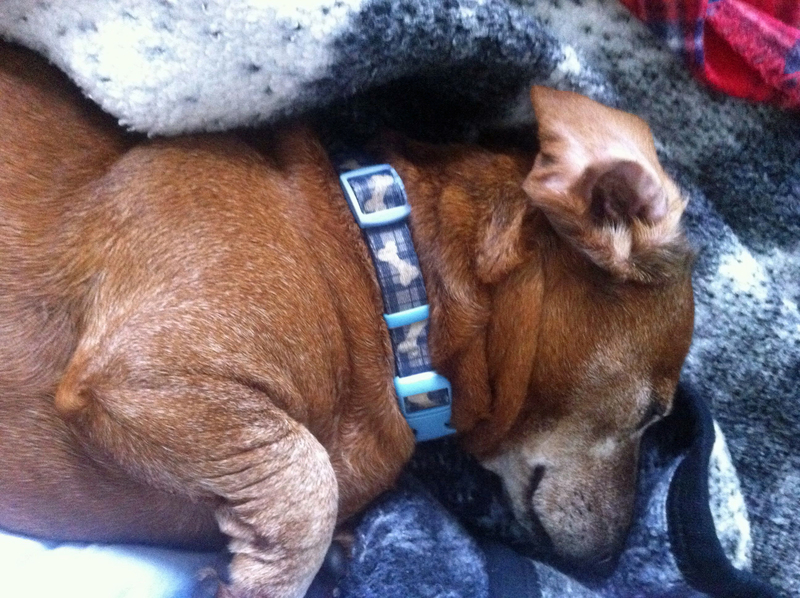 This entry was posted in Dachshunds, Dog Health, Fur, Schnauzers and tagged Cancer, Dachshunds, dog health, Schnauzers. Bookmark the permalink.